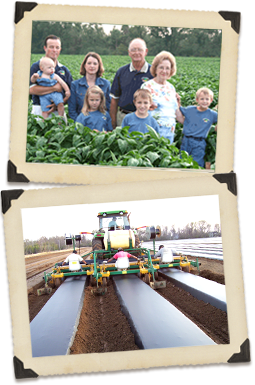 Our family owned and operated farming business has been serving Gulf Coast regional consumers with high quality, hand-picked fruits and vegetables for nearly two decades. We have grown from a 200 acre row crop farm into a 2,500 acre high tech produce operation. Located in Lucedale, Mississippi, our crops and customers benefit from some of the most rich, fertile soil in the world. our farm is your garden!